Leonard Automatics now offers two Large Piece Folders/Crossfolders (the LF136 and LF136C). Both models have the versatility for any commercial, hospitality or healthcare linen supplier application. The Leonard Folders/Crossfolders feature high speed folding and cross-folding with optional small piece folding and draping capability. 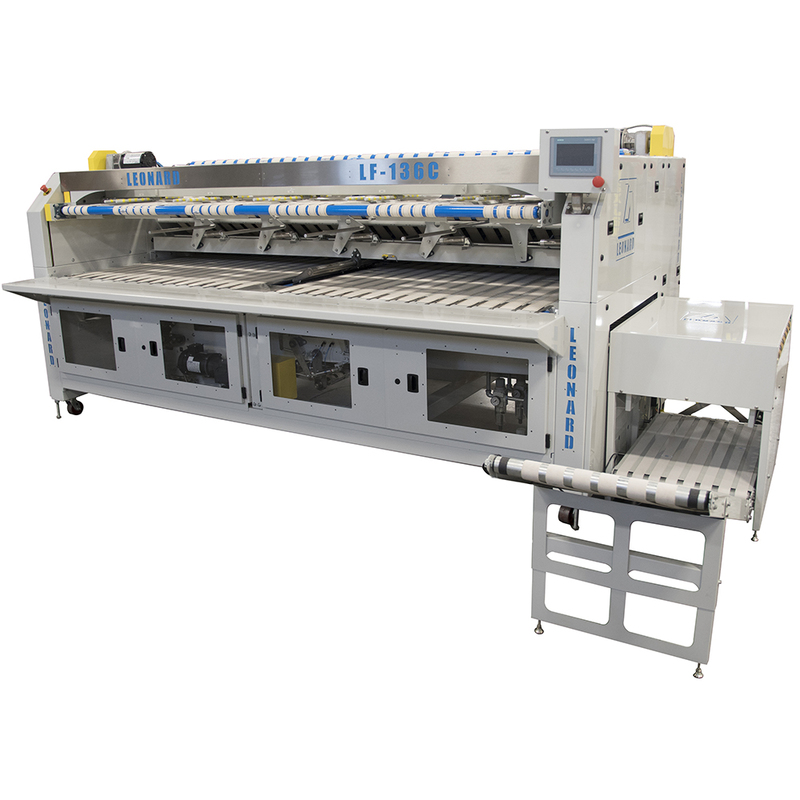 The LF136C provides up to five lanes with an optional six lane configuration. The LF-136C model has up to two lanes for large pieces and up to five lanes (or optional 6th lane) for small pieces. Both Folder/Crossfolder models have the option of adding up to three side stackers for post folding automatic sortation. They are equipped with an easy-to-use Siemens PLC interface that accompanies all Leonard equipment. The LF136 and LF136C are built by Leonard and backed by the industries best technical support team.